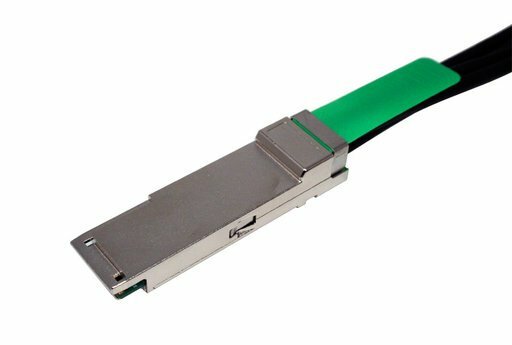 HD Mini SAS - QSFP+. Select a length for specific details. The C5597-.5M is a 0.5 meter premium Madison 8 pair 28awg cable using High Density Mini SAS (36 Pin SFF-8644) and QSFP+ (SFF-8436) connectors.This cable can be used in InfiniBand, SAS 2.1 and Fibre Channel applications and it is RoHS compliant. It is made with 30awg Leoni cable.. The C5597-1M is a 1 meter premium Madison 8 pair 28awg cable using High Density Mini SAS (36 Pin SFF-8644) and QSFP+ (SFF-8436) connectors.This cable can be used in InfiniBand, SAS 2.1 and Fibre Channel applications and it is RoHS compliant.. 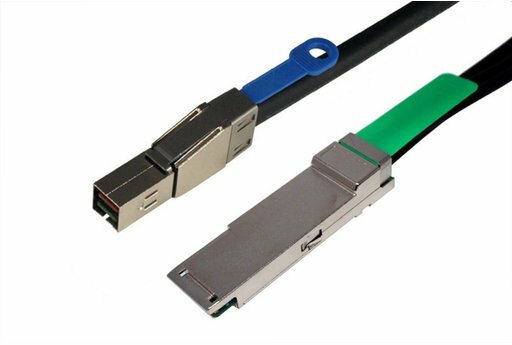 The C5597-2M is a 2 meter premium Madison 8 pair 28awg cable using High Density Mini SAS (36 Pin SFF-8644) and QSFP+ (SFF-8436) connectors. This cable can be used in InfiniBand, SAS 2.1 and Fibre Channel applications and it is RoHS compliant.. The C5597-3M is a 3 meter premium Madison 8 pair 28awg cable using High Density Mini SAS (36 Pin SFF-8644) and QSFP+ (SFF-8436) connectors. 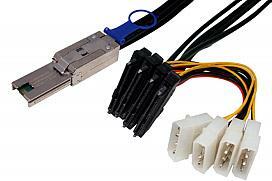 This cable can be used in InfiniBand, SAS 2.1 and Fibre Channel applications and it is RoHS compliant.. 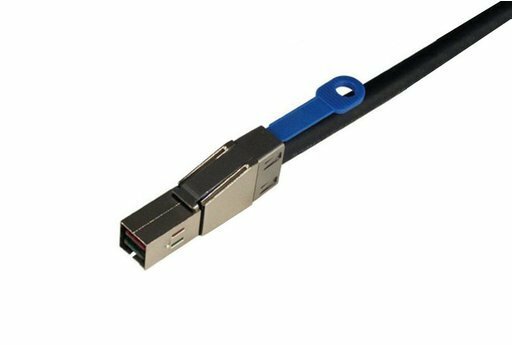 The C5597-5M is a 5 meter premium Madison 8 pair 24awg cable using High Density Mini SAS (36 Pin SFF-8644) and QSFP+ (SFF-8436) connectors. This cable is used for SAS applications. This cable is RoHS compliant.This cable can be used in InfiniBand, SAS 2.1 and Fibre Channel applications and it is RoHS compliant..